Year 8 is finally coming to a close and exam results are coming in. Hope you all had a nice summer! Let's see what the cards have to show us before we start the new year. Whoo hoo! It’s the start of a new year which means more predictions. Congratulations in advance to everyone who passed their exams and moving on to their next years. If you didn’t, it’s alright. At least now you know what to expect and become the most experienced that everyone looks up to in all your classes. 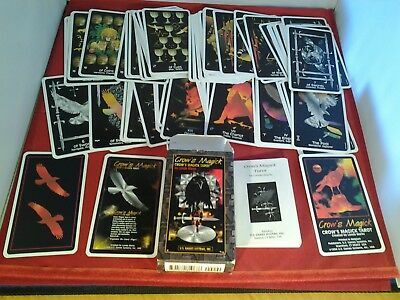 For this week’s predictions, I will be using the Crow’s Magick deck because of how much it reminds me of Hogwarts. 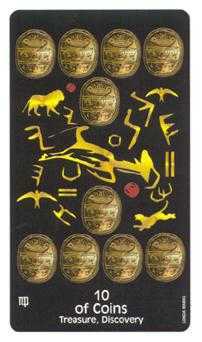 A Ten of Coins symbolizes that you have been given a great source of influence from some sort of inheritance. This could mean money, education, skill, responsibility, or even a family legacy running through your veins. With more influence, the more responsibility and maturity that will be required of you to take on. Take advantage of this new opportunity whether it be becoming more knowledgeable in a subject area after the exams, having more Galleons in your pocket, or taking your first job. Just remember to not get too caught up in this new influence and handle this responsibility wisely. The Ace of Coins fits perfectly into the situation of a student starting their new year. You are about to embark the first stage to your new year, symbolized by the Ace. Even though right now it doesn’t seem like much, this year will be one of the most important years in your life with many wonderful opportunities for you to take. However, do not think that this is the year to slack off, especially with your newfound responsibility on your shoulders. Use that willpower to propel yourself to the finish. 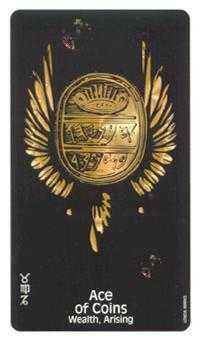 A member of the Major Arcana, the Emperor symbolizes leadership and being a good role model. This new year will be filled with challenges for you to overcome along with your other peers. If you feel that being a leader is in your blood, go for it. Help out your friends and, with the prediction by the Emperor, your new friends too. Use that chivalrous nature to strive for the greater good and the good of the whole. Just keep in mind about your own personal interests too. 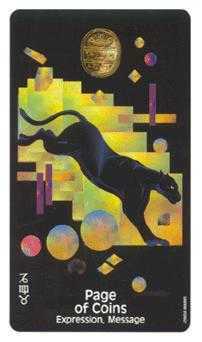 The Page of Wands represents that you are the messenger of positive change and innovation. What change this could possibly mean is broad and vague. Perhaps it could be as personal as a change within yourself or as influential as a change within Hogwarts itself. Whatever it may be, there will be people that will be unnerved by this change you are bringing and maybe even go against you. Don’t let this bother you. With that famous ambition of yours, I’m sure you’ll do just fine. The Six of Swords presents a challenging situation in the new year. It can be very confusing and frustrating starting a new school year with new material, and for some of you, new classes. This is the time to open your mind again and pay attention to every detail that can help you navigate through this new year. Use that famous Slytherin resourcefulness to make yourself become the top of your new classes. By trusting your intuition, this year will come along easily. The Page of Coins presents a challenging opportunity in your future. Sounds like an oxymoron but within the midst of the confusing start of a new year, it’s better to just stay back and watch the chaotic scene before you reveal your own abilities. Observe everything that’s happening in the classroom, take good careful notes on everything, and when it comes time to show off your skills, you can strike through the challenges like a serpent. 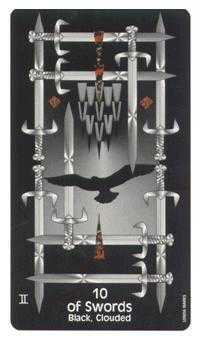 Oof, the Ten of Swords symbolizes a grim relief from a previous challenge. Maybe you have just barely passed your exams or maybe you haven’t passed your exams at all. Do not be ashamed to admit any failures. What happened happened and this is the time for you to pick yourself back up and be the hardworking badger. If this is not you, then congratulations, you have overcome a very challenging obstacle. But watch out because if you decide that this is the time to procrastinate, you might find yourself stuck in a very deep hole. 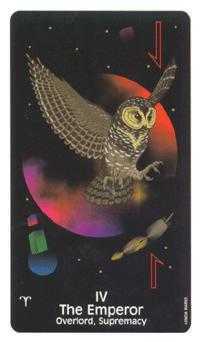 The Tower, a Major Arcana, represents significant energy. In the situation category, this symbolizes that a past incident or a slow foreboding development is going to explode into chaos. Perhaps those long months of procrastination in those previous years have cost you much knowledge needed for you to advance through this new year. Perhaps something that is out of your control is going to spiral uncontrollably. Simply put, the situation does not look desirable right now. But even with this negative outlook, with a tremendous amount of energy on your part, you will get through just fine. Interesting. Even with all the negatives, there is a very positive opportunity in your future. 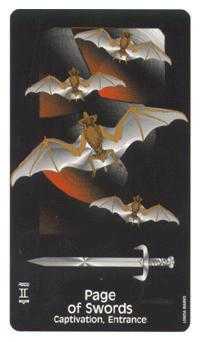 The Page of Swords predicts that you will have the power and ability to shape the thinking of those around you. Don’t go telling people what to do now. The power of the Page of Swords comes from being humble and quiet yet aware in the sidelines. Be a positive influence while sharpening your own mind along the way. 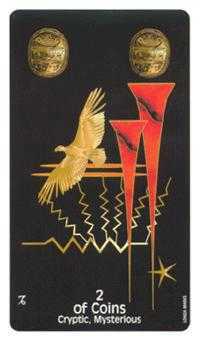 The duality in the Two of Cups symbolizes conflict. In the self category, this means that you are in the middle of making an important decision. However, this decision doesn’t seem that it can be logically deduced like flipping a coin. Maybe you aren’t sure whether or not to take a class due to being afraid of not being good in the subject. Maybe this has to do with a hard decision within your love life. Whatever it may be, let the situation resolve itself a bit more before you decide your next move. There’s no need to make a hurried, irrational decision right now. 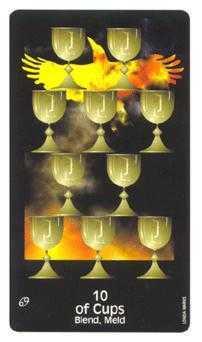 The Ten of Cups announces the calm and peace after the storm. You have finally finished the exams and conquered one of the greatest barriers you will face. Right now, you are filled with feelings of joy and celebration that are also shared among your friends. Coming into the new year, everything seems to be awesome and all the stress seems to leave your shoulders. While you are enjoying this period of joy with your friends, keep in mind that this is only temporary like all moments in life. Live in the moment and enjoy it before the inevitable stress of school returns again. 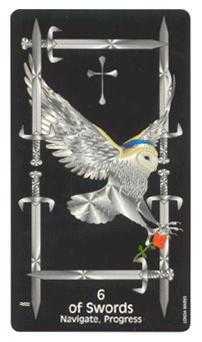 The Six of Swords predicts a challenge that I’m sure all my fellow Ravenclaws are familiar with. Within the period of joy after the exams, there might be a challenge where you have to logically think through a solution. 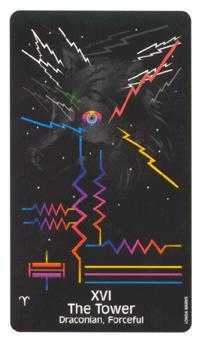 This card highlights that in order to pass this challenge, a change of your point of view is required. Analyze your situation and unknown territory in different perspectives and you will find what you are looking for. Like exam week, there is nothing that can’t be beaten by good old studying and analytical reasoning. 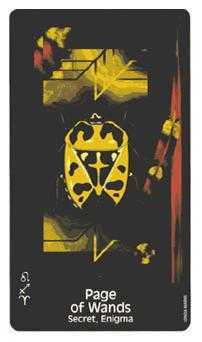 Thank you for reading this edition of Your Tarot Reading. Once again, congratulations to everyone moving on to the next stage in Hogwarts. Even with our busy IRL lives, we all got this. Keep on keeping on, everyone! Marlene Pushkinova Omg love this! Thank you so much for writing these Hannah! Hazel Green Amazing Hannah! This all actually kinda true about me... I’m tuning in for the next one! Morgana Rosenberg Ooh i love tarot readings!